Could local people build local fiber backbones? Necessity has led Cubans to become do-it yourslef (DIY) inventors -- keeping old cars running, building strange, motorized bicycles, etc. They've also created DIY information technology like software, El Paquete Semanal, street nets and WiFi hotspot workarounds. Last June the International Telecommunication Union (ITU) adopted a standard for "low-cost sustainable telecommunications infrastructure for rural communications in developing countries," L.1700. 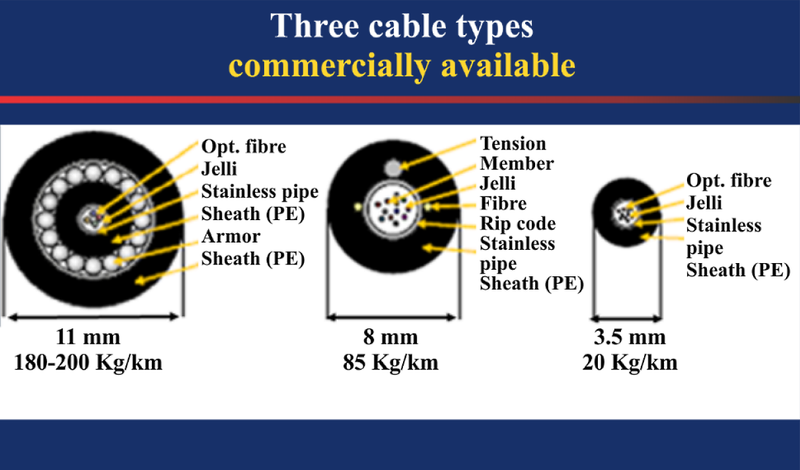 L.1700 cable should be of interest to both DIY technologists and ETECSA. The cables are strong enough to be installed without being threaded through a protective duct and light and flexible enough to be installed by supervised volunteers or unskilled workers. The cables can be burried in shallow trenches, strung above ground or submerged. (For an example installation in Bhutan and more on L.1700, click here). Large cities like Havana have expensive fiber rings intalled in tunnels and ducts under the streets. (Google has installed that sort of infrastructure in two African capitals). 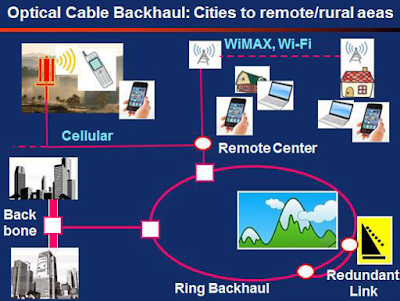 Could a small town construct their own fiber ring using L.1700-compliant cables and electronics -- creating a network like the one in the following ITU illustration? What role might ETECSA play in such a network? At a minimum, they could provide backhaul to their backbone, treating the local government as a customer, but I would hope they would take a more active role -- training local people, designing the local network, making bulk purchases of cable and electronic and optical equipment, etc. (Current street net organizers could also play an important role in this process). This relatively active role is reminiscent of a suggestion I made some time back for installing local area networks in Cuban schools or another for providing geostationary satellite connectivity as an interim step on the path to modern technology. I've been offering suggestions like this to ETECSA since I began this blog. My suggestions might be financially, technically, politically or bureaucratically unfeasible, but I hope someone within ETECSA or the government is at least studying alternatives that go beyond today's slow, expensive and unreliable WiFi hotspots and the timid, obsolete home-connectivity plan foreshadowed by the recently-completed Havana trial.